Zino Davidoff was born in 1906 in Kiev, Ukraine. With pogroms taking place in Russia, the Davidoff family was forced to flee the country. They settled in Geneva Switzerland. It was there that Zino found his love of cigars; it wasn’t long until he opened a tobacco shop. At a young age, Zino found himself traveling the country of South America and eventually making his way to Cuba. Once there, Zino fell in love with the people and tobacco and in 1947, he began producing his Chateau Selection cigar line. This was the beginning of a fourty-three year long love affair with Cuba; he produced some of the most highly sought after cigars in the world during that time period. During the 1980's, several disputes took place with the production facility and Davidoff Cigars moved their entire facility to the Dominican Republic in 1990. This was a hard decision and one the company did not take lightly. 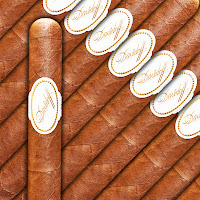 The Davidoff name had become the symbol of luxury that all the cigar brands looked to emulate their quality and success that Davidoff enjoyed. 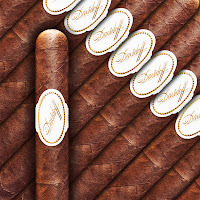 Not wanting to lose their edge or reputation, Davidoff set out to produce once again the finest cigars on the market - now with Dominican grown tobacco. 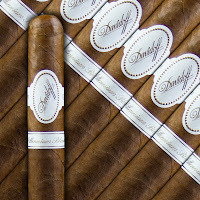 Davidoff Cigars chose the finest tobacco available and rebuilt using the same standards for quality they did in Cuba. It wasn’t long before they reemerged and regained their title of producing some of the finest cigars in the world. Today with dozens of different cigar lines and a plethora of followers, the Davidoff brand is still regarded as a leader in the luxury cigar world. All Davidoff Cigars go through a four year aging process, only after they harvest and cultivate some of the best grown tobacco in the Dominican Republic. Davidoff Special Series Double "R"